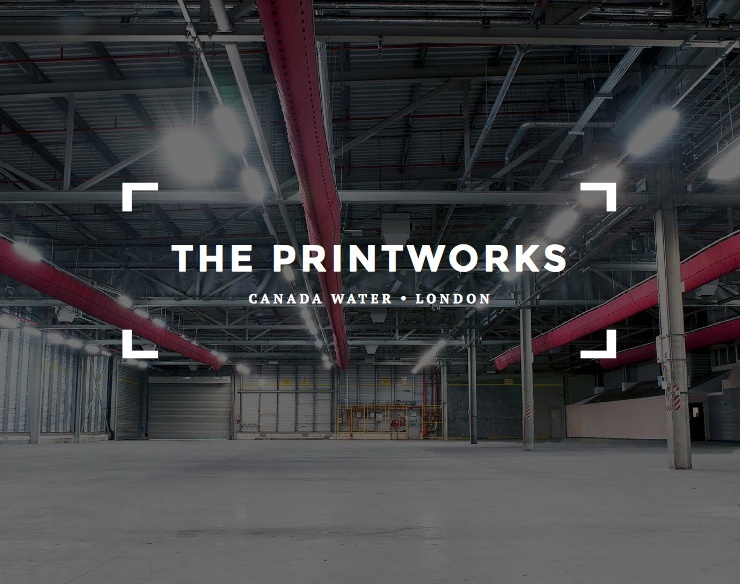 Printworks London, set to be a groundbreaking new multipurpose, experimental venue in the UK, launches in Canada Water. Located within the former printing facility for the Metro and Evening Standard newspapers, Printworks is a staggering 5,000 capacity licensed venue set within a 16-acre site in London’s Docklands. We will design and install a custom sound system at Printworks with the aim of delivering as even a coverage as possible. The ability to achieve this feat is one of the hallmarks of our sound systems, which is able to unite everyone in the room and provide the audience with the same experience, wherever they are. One of the loudspeakers that will be installed in Printworks is Air Motion; our three-way bi-amped sculpted loudspeaker array which sets an entirely new standard in audio aesthetics. Stasys 218 low frequency enclosures will be installed to deliver a thunderous and dynamic low end. The double 18″ reflex loaded low frequency enclosure is a phenomenal package with state-of-the-art performance that has well and truly left tradition behind. 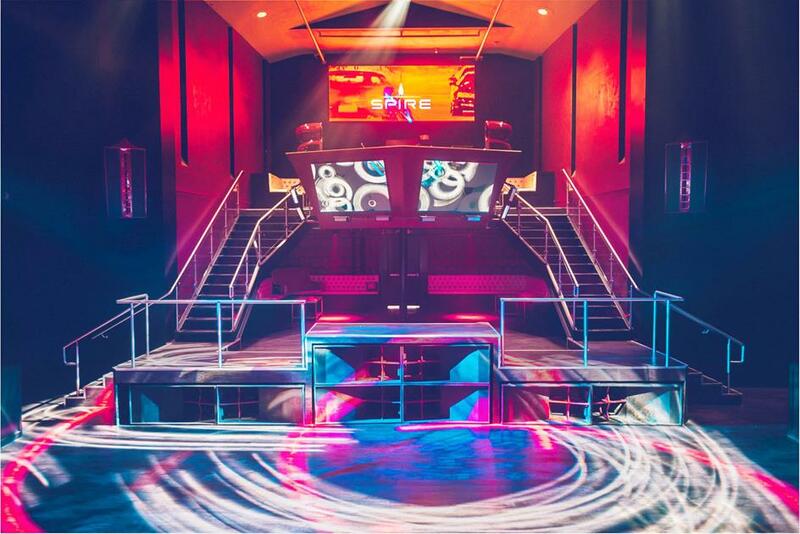 Tim Hannum and the team at Diavolo Systems have completed the first four point Nexus 6 installation in the world at Spire, a new club in Houston, Texas. The former First Church of Christ, Scientist building has been turned into a new nightclub. The church opened in 1961 on land the church owned for more than 100 years. It now appears that its future includes Void sound systems, electronic music and people lining up around the block. The team behind nightlife hotspots Clé, Saint Dane’s and Christian’s Tailgate have rebuilt the night club which now houses two Void Acoustics sound systems, designed and installed by Diavolo Systems. Nathan Short of Void Acoustics assisted with final installation and tuning of the systems. The main room at Spire contains a four-point Nexus 6 system with Psycho X low frequency enclosures and Air Stream monitors. Room two houses an Air Motion and Stasys Xair system with Air Vantage monitors. 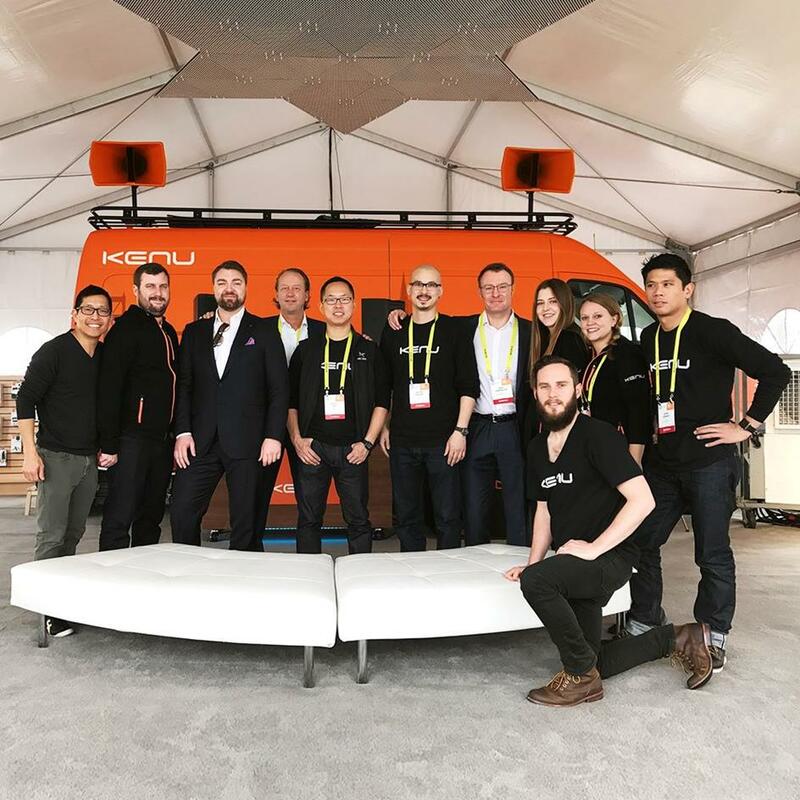 The team at Kenu headed to CES 2017 in Las Vegas, Nevada with a custom orange and black Air Vantage and Stasys Xair sound system specified and installed by Audio Integration Services. Kenu were at CES to showcase their newest products, whilst demonstrating their world class in-car ecosystem. Kenu hosted “happy hour” each evening when the show ended, guests danced into the night to the sounds of San Francisco based DJ Duserock on the custom Void sound system, all in all creating a one of a kind experience. Motiv8, our distributor in Malaysia has completed a major installation at kyō in Kuala Lumpur. A Tri Motion and Stasys Xair system has been installed along with Venu 12 fills at the new club in Malaysia’s capital city. Just like its Singapore counterpart, the new venue is located at The Mandarin Oriental Hotel. “The idea of opening kyō in another city had been in the brand’s blue print since the group opened its flagship in Singapore in 2013,” explained Godwin Pereira, co-founder of Limited Edition Concepts. “There are many similarities between the two cities as neighbouring countries” he said. The Kuala Lumpur edition of kyō will retain the brands musical identity. 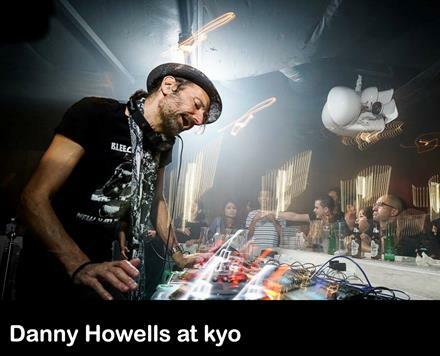 kyō Singapore was conceived by the very same people for their love and passion for the origins of electronic dance music. Neuron Pro Audio have completed the installation of a custom orange Cyclone 55 and Venu Sub sound system at Volt Gym. The gym is based around the concept of creating the ultimate training space, culminating the best equipment, a first class Void sound system, mood enhancing lighting and engaging interior design. Gyms often carry the stereo-types of being cold, dirty, unwelcoming places with intimidating atmospheres. 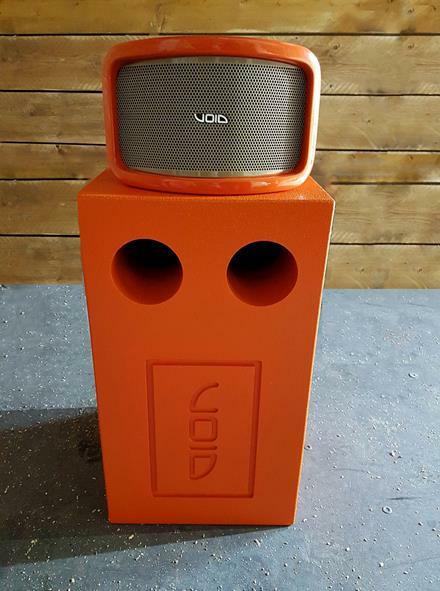 Alasdair Mitchell of Volt Gym: “My first experience of Void Acoustics was a real baptism of fire, entering The Void stage at Dimensions Festival. An otherworldly experience where the Void setup rippled the faces of everyone around me. When the opportunity arose to open a gym with my brother I made a beeline for Void Acoustics after hearing good reviews from friends and experiencing Void first hand. The colour customisation was another massive pull factor for us. The guys at Neuron Pro Audio were very helpful and patient when filling in knowledge gaps for us, especially when there are far more gaps than actual knowledge when it comes to acoustics. Once we reached the stage where the guys were able to be on site, all the processes were done quickly and efficiently, no dramas. Neuron were also pretty flexible when it came to fitting around our tight schedule which was really important. Mr Hofkamp brings his many years of experience to major British loudspeaker manufacturer Void Acoustics to manage their North American operations. His plans are to build on the success Void has experienced throughout the world and expand their dealer base in North America. The introduction of Rob Hofkamp comes at a time of major expansion for Void Acoustics that has also seen industry veteran David Bissett-Powell join the company. 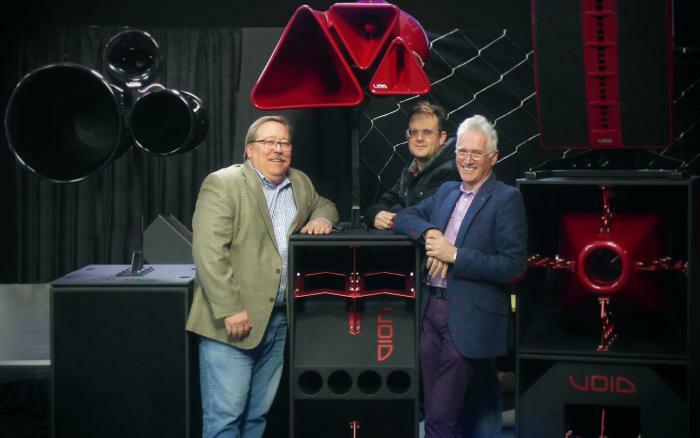 In 2015 Void Acoustics incorporated in America with a warehouse facility created in New York. The introduction of Rob Hofkamp completes Void’s plan to set up a solid base of operations in North America and to build a dedicated team of system integrators and dealerships across the region. Alex Skan, Managing Director at Void Acoustics, comments: “We’re delighted to welcome Rob to the company; we couldn’t ask for a better person to spearhead our efforts in North America. Having someone based in North America will help us build our brand on the other side of the Atlantic and continue the rapid expansion we have been experiencing over the past few years”. Rob Hofkamp adds, “The team at Void Acoustics have made a solid name for themselves in Europe and Asia and I am really excited to introduce the brand to the expansive North American market. Void hasn’t just done the same old thing that everyone else is doing, they have set out to forge their own path and create something new. I am delighted to be a part of it”.